I hope you all are having a great day. I apologize for my absence here at “Getting Real,” but I have been busy reading and studying up. It is my plan to get several book reviews out this month as well as share my thoughts on some interesting books I have read this last year. 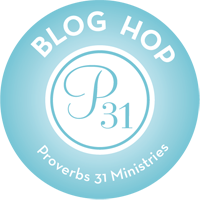 I have also been praying about the direction of this blog for 2014. If you have any suggestions, I would love to hear from you. I am currently reading the book “Radical” by David Platt, and I must confess that I am very much intrigued. In the first chapter or so of this book, David shares stories about people abroad who are being persecuted for their belief in Jesus Christ. These people are literally having their tongues cut out and their skin peeled from their bodies, but they are rushing to worship their Lord and they are doing it joyously! Those who are being executed are going to their deaths singing and praising God. I must confess that reading this shamed me and I have been stuck on this topic for over a week now. You see, I call myself a Christian. I proclaim to love Jesus; however, my greatest fear is that I would not be able to stand for Him under the same conditions. Shocking, to some I suppose, but I made a promise to keep it real here on this blog. I mean seriously,how many times have you thrown a hissy fit when God doesn’t work on your time-table or you go through a rough patch? I know I have been there more times than I can count . I sometimes wonder why others around me, who may even not be Christians, have it so much better than me. I get frustrated where God has placed me because I just know there is something better out there. How insignificant are these issues compared to what others are suffering and suffering gladly? I spent the last weekend with my brother in the hospital. My brother was in an accident a little over five years ago and now lives with a severe brain injury in a nursing home down the street from me. He is in a lot of pain physically and emotionally, but he rarely complains. I recently had a conversation with him in which I was apologizing for my lapse in visits and is reply touched me deeply, “What are your crying for, I’m okay.” My first thought was that he was not okay; how could he possibly be okay living in a nursing home at 37 and having constant muscle spasms? However, the truth is that he is okay. He has accepted his injury and he is making the best of it. God used this to once again remind me that happiness or thankfulness is just a matter of perspective and it is a choice. I can choose to be happy and thankful despite my circumstances. I can choose to praise God wherever I am. I don’t have to be on a mission field in some far away land to make a difference. I can make Godly choices today that we lead me and others closer to Christ. I can serve right here where I am planted and do it gladly until God moves me on. I may not be where I want to be right now, but I am where God wants me to be right now, and I can choose to make the best of it. This is the day that the Lord has made. Let us be rejoice and be glad in it! Previous Previous post: How Do We Make Christmas More About Christ?